It was certainly a shock to see Michael Gove reinstated to the Cabinet, especially in his new role leading Defra. Rarely does the department receive such a ‘big hitter’, usually being seen (frustratingly) as a relative backwater from which lower profile ministers can rise through the political ranks. Gove is a controversial, outspoken character and his appointment has ruffled feathers in the farming and environment sectors. There are lots of sceptics about, including myself, who look at his voting record on environmental issues, which includes voting to sell off state owned forest lands, and struggle to see the benefits of having him in charge at 17, Smith Square. As Ed Davey said, putting Gove in charge of Defra is like putting a fox in charge of a hen house. However, as always, I remain optimistic. I hope that he will use his profile to champion food, farming, the environment and the countryside and make sure that rural issues are placed at the foreground of the political agenda. I hope that he will listen to all sides and make rational decisions which act with the long term in mind, rather than short term economic gain. I hope that he will generate policy that drives local environmental partnerships, with farmers and environmentalists working together, driven by carrots as well as sticks. His premiership has begun with familiar gusto, as he projects an image of seeming determination to get to grips with one of, arguably, the most complex government posts. He has spoken to the Farming Press, to farmers and to environmental NGOs. He has already met with the RSPB and underlined his determination to listen to environmental groups. This is a good start. However, it needs to be met with similar action. Assuming he stays in the position for the duration of this parliament, Gove will have more influence over our environment and the farming sector than any Defra secretary since the formation of the department. This is due to one thing: Brexit. Agriculture will be flipped on its head over the next decade as we enter a new policy climate. Environmental protection policy will return fully to the UK, and British governments will control what it consists of and how protections are enforced. This is an important time for environmental affairs in Britain and Michael Gove will be at the heart of it. When it comes to farming Gove is currently ‘in listening mode’ (his words) and is travelling around the country’s agricultural shows outwardly seeking farmers’ views on their concerns for the future. This is a good sign as the new agricultural policy, which will ultimately be dreamt up by Gove (assuming he sticks around) and his civil service mandarins, needs to be forged with farmers in mind (to point out the obvious). Gove needs to be bold, but in a way that makes environmental protection more effective on the ground whilst also enabling growth in the rural economy. A profitable farming sector is fundamental for a thriving countryside but it needn’t look like it does at the moment. It will be up to the private sector to react to new conditions. 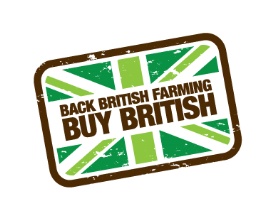 Farmers need to think outside the box and think of their farms first and foremost as ‘rural diversified businesses’ rather than solely food production units. Producing food should always be the first task of a farmer, but if small farms are to survive they will be more reliant on other non-farming incomes, and Gove needs to support them in achieving this. Away from farming, Gove needs to champion broadband and mobile phone coverage for rural areas everywhere. Without this it is far more difficult for countryside businesses to thrive. Ultimately it is the private sector that will sustain the countryside and move it into the future. Critically this needs to be done in a way that is not to the detriment of the environment. We are fortunate to still have many areas in this country that are aesthetically beautiful and biodiverse whilst also being stable economically. However, the pressures on these areas are increasing. This is triggering radical ideas. Fracking and bad developments can be to the detriment of rural communities. This should be recognised. Once something is lost, it is difficult to get it back. It is good to see Gove listening, but I just hope that what he hears doesn’t go in through one ear and straight out through the other. We need a Defra secretary who champions the environment and supports those farmers who are being innovative and who do more than their fair share for conservation. I remain a sceptic, but I must admit that it’s good to finally have a ‘hard hitter’ at 17, Smith Square. Please don’t disappoint me Mr Gove. Ben Eagle is a rural commentator from Essex. You can follow him on twitter @benjy_eagle or visit his blog thinkingcountry.com. Next Next post: Poll: Best Gun Brand For Game?